#Baking4Life Online Blogger Bake Sale TODAY! 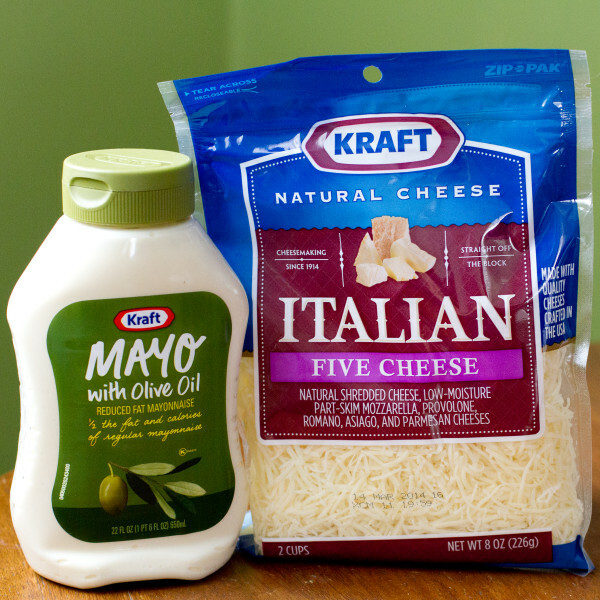 Disclosure: This is a sponsored conversation written by me on behalf of Kraft. The opinions and text are all mine. Christmas is a time for family traditions. Baking cookies together. Decorating the tree. Visiting Santa. And Christmas Eve. Since the kids came along, it became too difficult trying to visit everyone important to us on the same day–it was all so harried and rushed–so we divided it up. Now we can spend more quality time with our loved ones without worrying about rushing off to our next destination. My mom, dad, siblings and spouses, nephews, and grandparent gather in our home for a simple family meal. Always a baked pasta dish, with a side of salad, and garlic bread, of course. 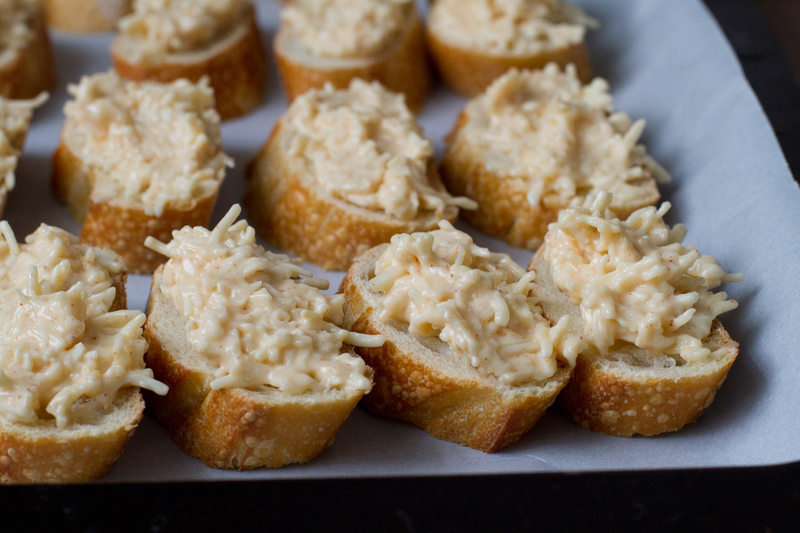 Not just any garlic bread though–a special one worthy of the occasion. The recipe I’m sharing with you today is based on the one I’ve been preparing for years, made from Kraft Mayo, Kraft Natural Cheese Italian Five Cheese blend, and garlic. 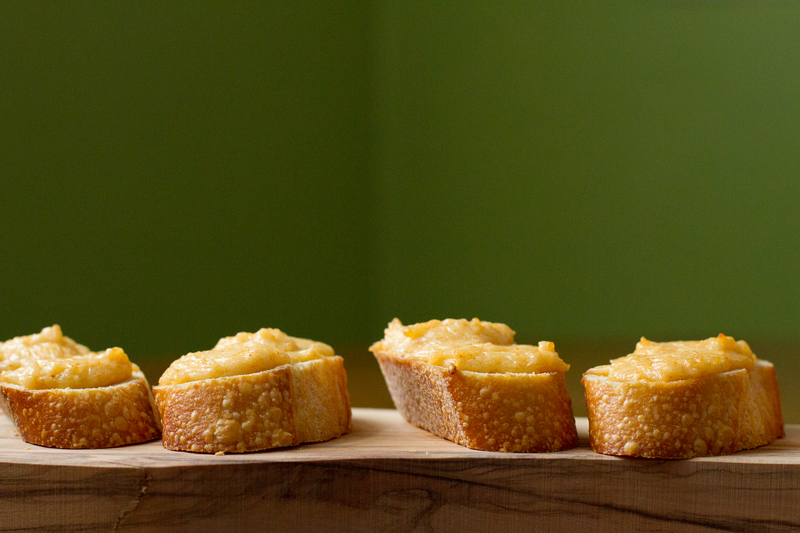 Spread it on slices of baguette, bake, and be transported by the ooey-gooey, garlic-cheesiness. 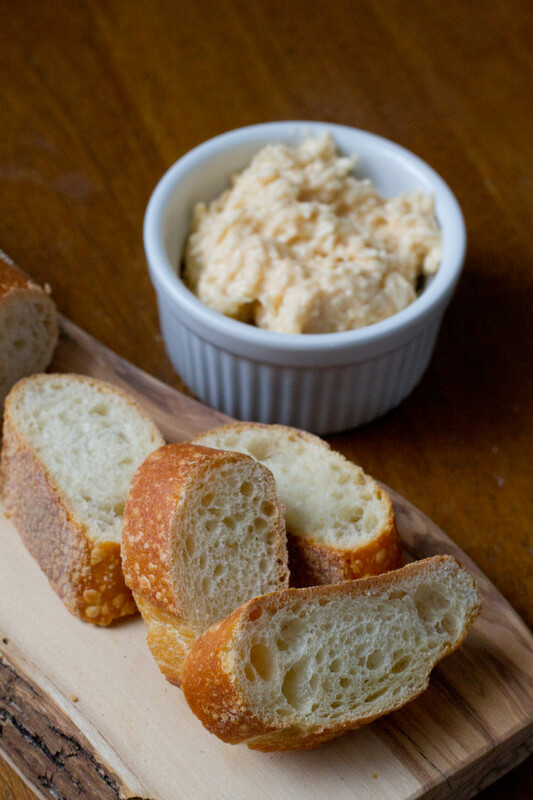 This will make your season bright, whether you serve it as an appetizer or side. You may want to grab two baguettes, just in case. Kraft wants to give you a little help for the holidays, too. Not only will you find a huge collection of easy recipes on their site, whether you need a weeknight meal or a killer appetizer, but they have some great savings for you, too! Up to $20 in savings at Target*, to be exact. Because we all could use that kind of help at this time of year. After dinner, as my family and I munch upon dessert–cookies galore, oh, there are so many of them!–we’ll sit in contentment, appreciating each other’s company. This is just my kind of low-key, holiday gathering. Very little fuss, full enjoyment. And Kraft helped make it happen. 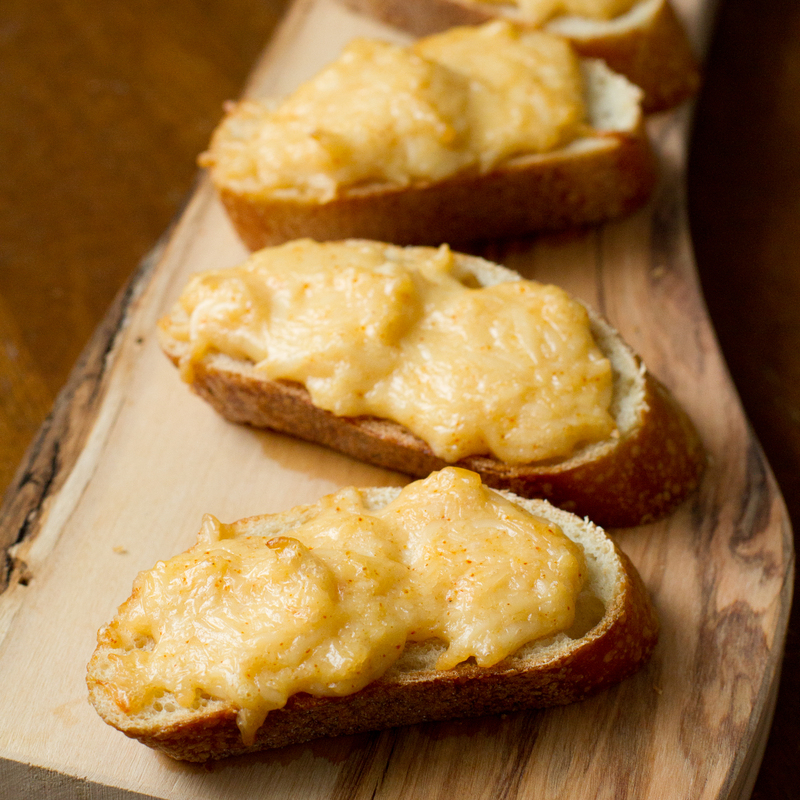 In a large bowl, combine the mayo, cheese, garlic paste, and paprika. Cover and refrigerate for at least two hours and up to 3 days. When ready to make your garlic bread, move oven rack to top position and preheat oven broiler (my oven has hi and low broil, which I used low broil for this, but I realize not all ovens have those options; if yours doesn't, just watch the baking time more carefully). Line a rimmed baking sheet with parchment paper and set aside. Slice bread on a bias and lay out on baking sheet, cut side up. Spread garlic mixture on top of each side of bread and bake for 3-4 minutes, or until cheese is melty and caramelized. *Please note: Coupons are redeemable exclusively at Target.